Toney Freeman (nicknamed X-Man) was born August 30, 1966 in South Bend, Indiana, now he is a professional bodybuilder IFBB. Toney is called the X-man, because he has extremely wide shoulders, a narrow waist (76 cm) and huge hips. There are people whose figure resembles the letter O, sometimes even A, and Toney’s figure looks more like the letter X. And if we recall the comics “X-Men,” our athlete is huge enough to be one of the superheroes. Freeman has a very interesting history from entering into a big sport. The first impression of “rocking”, it was when he was a high school student, it formed in him a negative attitude towards bodybuilding. But for all is the will of fate. In 1986, Toney met a girl with whom he wanted to link his fate. They lived in different cities, so Toney was jealous of his beloved to her friends, especially one guy, fond of bodybuilding. Once, Freeman’s girl showed the bridegroom a photo of a friend from the championship of Georgia. Ambitious and quick-tempered, Toney decided to prove that he was not in the least worse, and could achieve even more. He loved his girlfriend and did not intend to give it to anyone. Toney weighed 73 kg. His goal was to build up to 90 kilos, and after a year and a half he recruited them. By that time, Toney finally gained a love for bodybuilding, but lost interest in that girl. There were too many beauties around, and he decided not to dwell on any one. In 1991, Freeman oversaw the triumph of Kevin Levrone in the US amateur championship. Why not try it? thought Toney, and decided to prepare himself for the competition. He met a certain athlete named Harold Hog, thanks to the advice of which for 2 months, Toney scored 20 kilos. Toney performed at the Junior Athletic Amateur Tournaments, and his best achievement in those years was the 4th place in the “Mr. America” ​​tournament – 90. Three years later Freeman became the US champion among amateurs in the NPC Junior Division. For a young and promising “heavyweight” it was time to speak at the national championship. But his efforts failed. Toney three times went to the final, but above 4 places he was not allowed. In 1996, X-man stopped speaking. According to the official version – due to a chest injury, which he received nine weeks before the US Championship. Toney rightly believed that since the judges do not like him, the trauma would only aggravate the situation and he certainly could not see victory. In the end, Freeman lost interest in the performances. 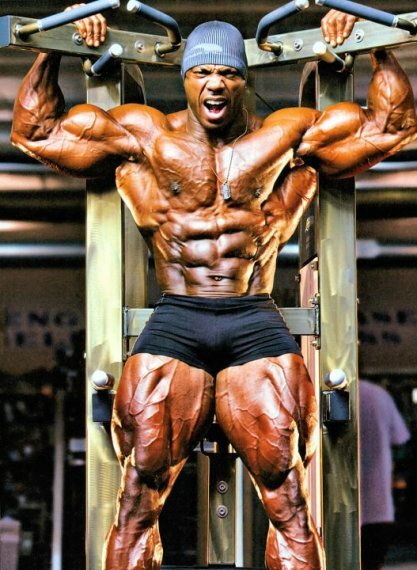 Toney is a very aesthetic athlete, so he considered it wrong to build an asymmetrical body due to trauma. In addition, because of the constant phrases of the judges, saying “your time has not yet come,” “be patient,” etc., the athlete had post-competition depression. According to Freeman, he was very tired and lost weight to 105 kg. Toney decided to return to normal life. Who only did not work the champion for five years – a builder, singer, coach, bouncer and even a performer of exotic dances. As Toney says, he received money for performing exotic dances as much as from professional bodybuilding. By the way, Freeman did not go to breast surgery until September 2000. He did not trust doctors: some promised a big scar, others did not promise full recovery. But one day Toney’s assistant at the gym, a doctor by training, introduced the athlete to his friend, an orthopedic surgeon with experience in plastic surgery. He convinced Freeman that he was ready to restore his chest without any critical consequences. The operation was successful, and in 2001, Toney decided to return to the scene. He tried to gain the weight needed for the application in the heavyweight category and took second place in the middle class tournament “Coastal USA Championships” in the NPC. Then the athlete admitted that he did not take seriously these competitions. He was training hard and almost did not follow the diet. As a result, his performance at the national championship brought a not too prestigious eighth place, but next year Freeman gathered in spirit and managed to escape from the aging amateurs into the league of prospective IFBB professionals. Toney won in the amateur championship of the US heavyweight. Now Toney lives in Atlanta, Georgia. Recently, he took 5th place at “Mr. 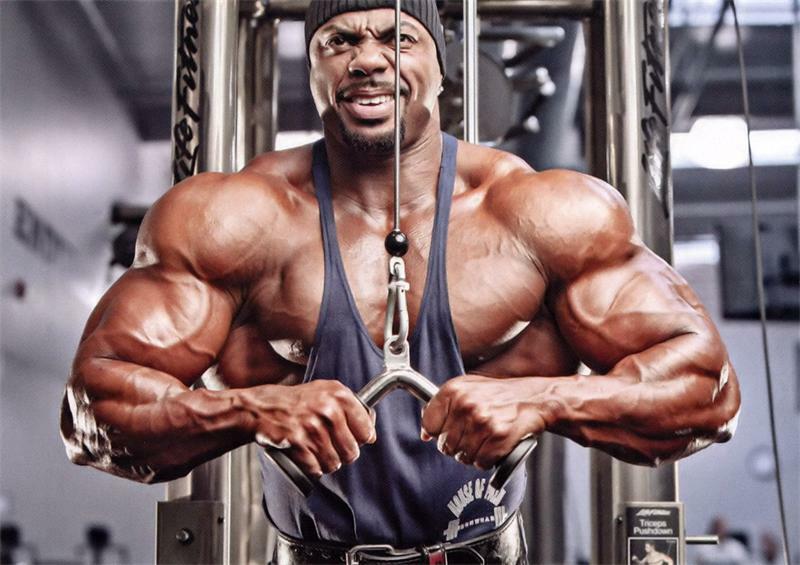 Olympia 2008″ and shortly thereafter signed a contract with MuscleTech. This entry was posted in Top Bodybuilders and tagged IFBB Pro, Mr. America, Mr. Olympia. Bookmark the permalink.